Social media has been working its way into the healthcare industry over the last few years and now the latest use is through the use of Twitter as a flu-tracking tool. Scientists at Johns Hopkins University are now employing the social media platform to monitor flu activity across the U.S. Smartblogs.com reported on how researchers are using social media to track this health epidemic. While tweets are simply not capable of providing exact numbers of influenza cases, they are certainly useful for tracking flu outbreak trends among the overall population. Yet this isn’t the first time that social media has been used to monitor health conditions. In a prior project, Twitter was utilized to track trends in seasonal allergies across different geographic regions. That project could open the doors to mapping allergy prevalence in individual states or even specific communities. Tweets may also eventually be used to observe how people choose and take medications. Interestingly, this flu-tracking project required much more than just keeping an eye on Twitter. 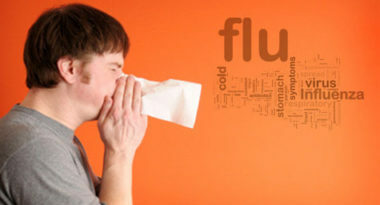 The project began with a word search query of hundreds of keywords related to health and flu. This allowed researchers to look for tweets from people fighting the flu. Then, the researchers used supervised machine learning to teach the computer to search for these tweets. They trained the computer to search for phrases that people suffering from influenza were likely to tweet, like “sick with the flu,” and put the computer to work sorting through millions of tweets for these related phrases. While it wasn’t possible to ascertain precise statistics from the tweets, these comments were able to provide an estimate of the number of people fighting the flu on a certain day to give a better idea of outbreak trends. The findings may not have been as precise as traditional public health information sources, but Twitter’s lesser accuracy was clearly offset by its much greater speed and convenience. Clearly, both sources have their benefits and they can be used together to help healthcare professionals get a better handle on the flu. To learn more about the power of creative healthcare marketing and how the digital age is redefining healthcare, contact MDG Advertising. MDG Advertising, a full-service advertising agency with offices in Boca Raton and New York, NY, is one of Florida’s top healthcare marketing companies, whose clients include Dental Care Alliance, MDVIP, Max Planck Florida Institute, and HCA East Florida. Our 360° approach uses just the right mix of traditional and digital marketing to reach your advertising goals. While some industries may fare better in print and others online, we strive to create a balanced approach, where traditional, social media, and digital marketing efforts support each other and your message is tailored to the medium. To learn more about the latest trends in healthcare marketing and advertising, contact MDG Advertising. Read more at Smartblogs.com.